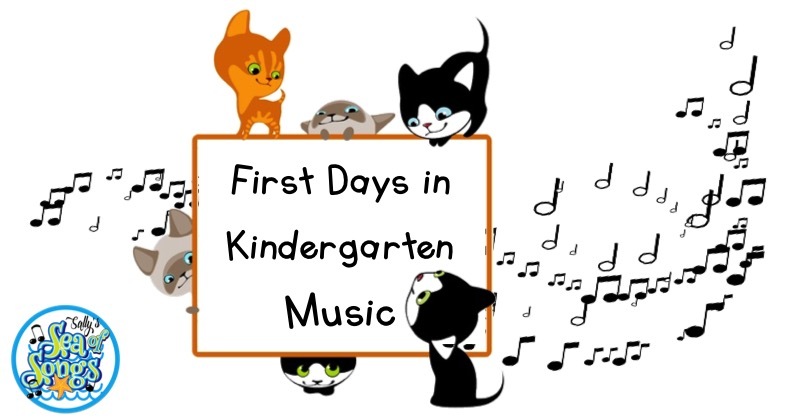 Kindergarten music is my favorite class of the day. In my district, the first time students get to come for music class is in kindergarten. Every thing in the room is new to them, I am new to them, and they are all new to me. I love their enthusiasm and imagination, however during the first month of school they are definitely distracted by all of this newness. The first challenge is getting them in to the room and seated in an orderly fashion. In August, this is a bit like herding cats! You really must have a procedure for everything! Kindergarteners thrive on repetition, so setting procedures really helps them enjoy their stay in the music room. For my entry procedure, we play "Follow the Leader," but it takes on many variations throughout the year. At the beginning of the year, I like to play "Music Train." Velcro strips that attach to the carpet are placed in a path all the way around the room, forming the train track and guiding us into our circle. Johnny, Susie, it's a game! Don't break the music train! Of course, I can't always come up with a rhyme, but I do try to keep my steady beat going unless too many "cats" have gone exploring! This gets us in and seated in a circle in a quick and musical fashion. The train imagery really works because we all know that trains have to be on a track to run! Once this procedure is established, I change my chant to a song. Most of the time I sing on a neutral syllable, only interjecting words when I need to remind someone to walk on the circle. Any song that you have in your own personal repertoire can be sung on a neutral syllable. Vary the tonality and meter of the songs that you choose! 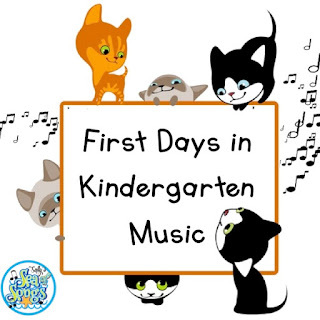 It is very good for students to hear music right from the start of music class! With 100 new kindergarten names to learn, name games are so important to me! 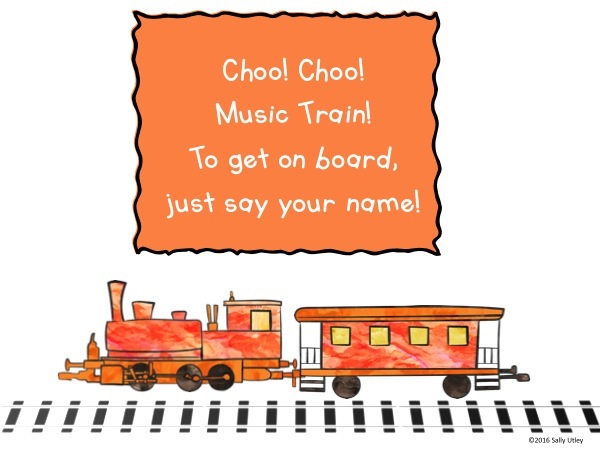 When I first started teaching elementary music, I used Name, Name, What's Your Name from the old Music Connection series all the time. Because it takes ME longer to learn all these names, I find it necessary to play name games for a month or even two. Thankfully, kindergarteners love repetition! I use several different chants for variety and also to infuse both duple and triple meters into my lessons. 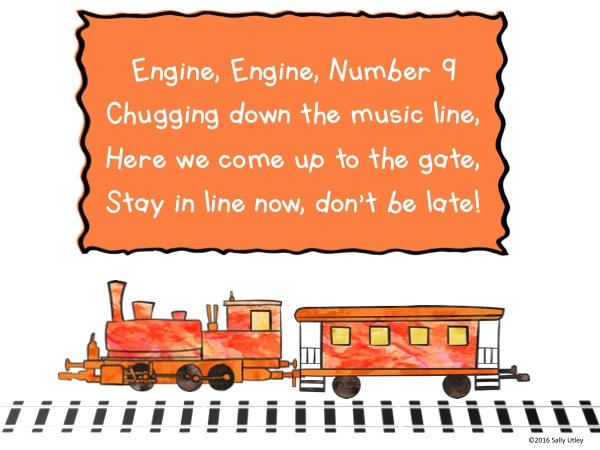 Choo, choo, music train. To get on board, just say your name! Once again, the train imagery works to keep the students calling out their names on time because we all know that train cars are connected together and we want to BE the music train. The other two chants that I like to use are common to elementary music classrooms. Bee, Bee Bumble Bee is a duple meter chant, while Hickety Tickety Bumblebee is a triple meter chant. 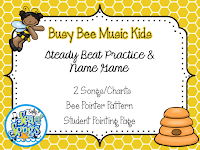 These two chants are great to use along with other bee-themed activities, such as buzzing vocal explorations and flowing scarf activities. You can find some visuals to accompany these chants by clicking on the picture below. 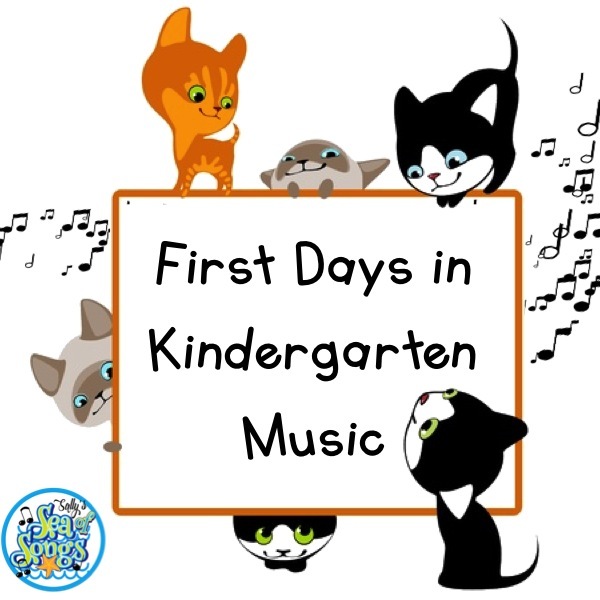 At the beginning of the year, many kindergarteners are not yet ready to keep the steady beat, so I do not use any clapping or patting or accompaniment tracks for quite awhile. 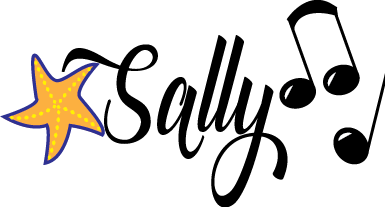 Instead, the focus is to learn the pattern of the game first. We begin with all students standing. I say the chant by myself, then ask each student to say their name. The class then echoes the student's name and that student sits down. My goal at first is to make it down one line of students without a break! After a week or two, the students just naturally start joining in with me on the chant, and we develop more and more of a steady beat once the students understand the pattern of the game. The key to success is to set your class procedures right from the start. Kindergarteners have such energy, and they love to sing and play musical games. You want all of their energy to be focused on this musical learning, rather than on behavior challenges. Once my entry procedure is set, I can change the song or chant every week if I want to, and the children still follow me around the track to our seats. The same is true for the name game procedures. If you would like to use the train graphics, right click on the picture, save it to your computer, then insert the picture into PowerPoint, Keynote, or your IWB software for display. Using imagery, such as the train chants, can help hook the students into your new musical world with a little make believe! This is very helpful. Can't Wait to see your other ideas! I'm fired up and ready to go!!! !